I love http://www.juicegeneration.com in NYC. They do things the way that a juice bar should. Places like Jamba and smoothie king upset me. Yeah, their smoothies are delicious! It’s because they just aren’t good for you. It’s time to wake up, smell the greens, and learn to love what’s good for your body. Juice Generation tells you every ingredient in the smoothie, and they are pure, clean goodness. I have been eating my version of paleo (post coming soon) for close to a year. I have to admit, I am bored with chicken. There are just some nights where I rather not eat. I have such a hard time coming up with ideas for dinner, especially since Mike only eats one vegetable, spinach, and no seafood. So tonight, I decided to make a replica of my favorite Juice Generation smoothie, Mr. Greengenes. I understand that green smoothies scare a lot of people. I am sure at one point I was also scared. I am one of the lucky few who came out of the womb loving vegetables. In fact my favorite baby food I have been told was spinach. therefore, I have a high tolerance for anything green, and even enjoy wheat grass shots. 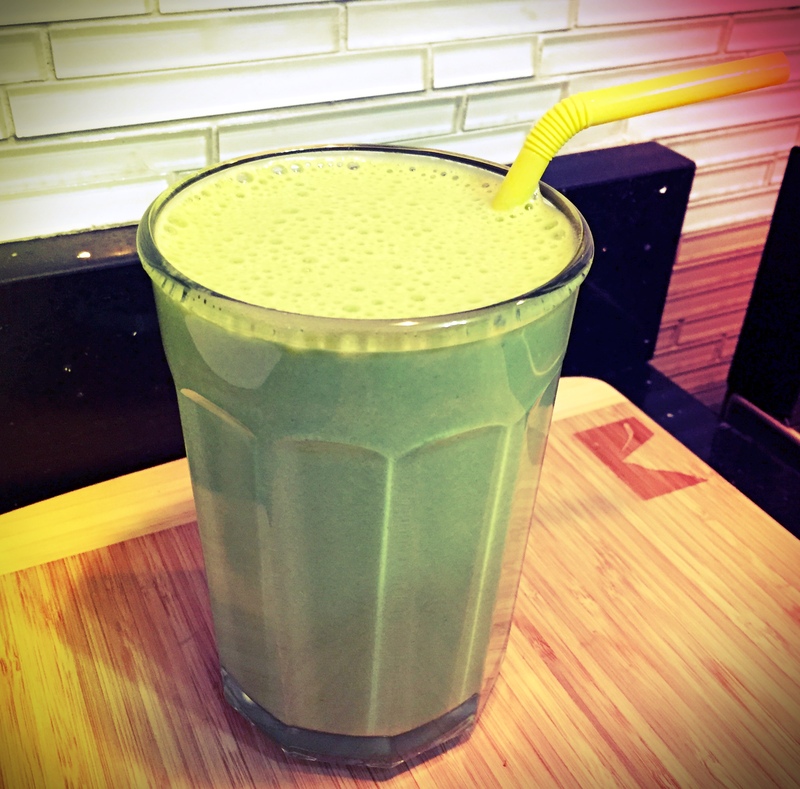 I know that these tid bits do not make me a reliable source on where this particular smoothie falls on the green tolerance scale, but trust me when I say, if you want to start drinking green, this is the smoothie to start with. The ingredients help this add up to a sweet, creamy delicious treat in which you will hardly notice the green flavors. 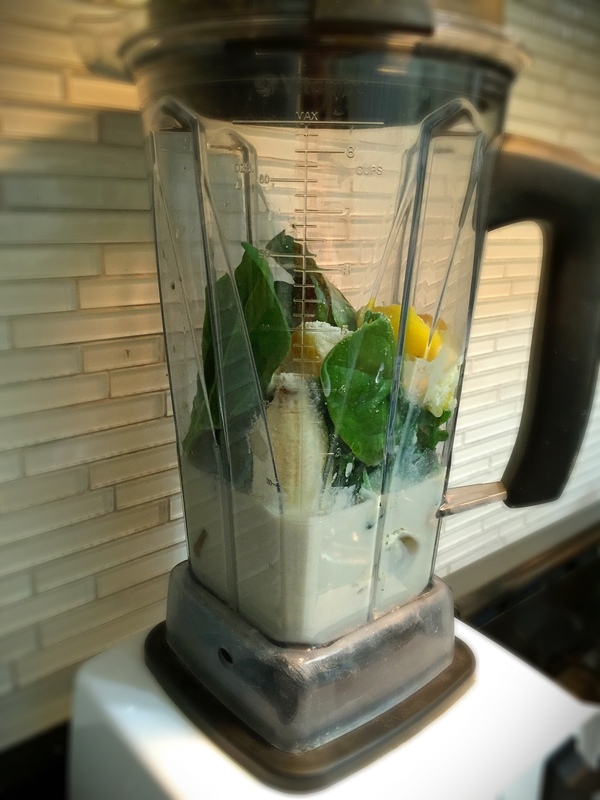 Once everything is in the blender, mix on the smoothie function which will automatically shut off when finished, pour and enjoy! I have to be honest and say that my smoothie came out just as good, maybe even better than the official Mr. Greengenes. 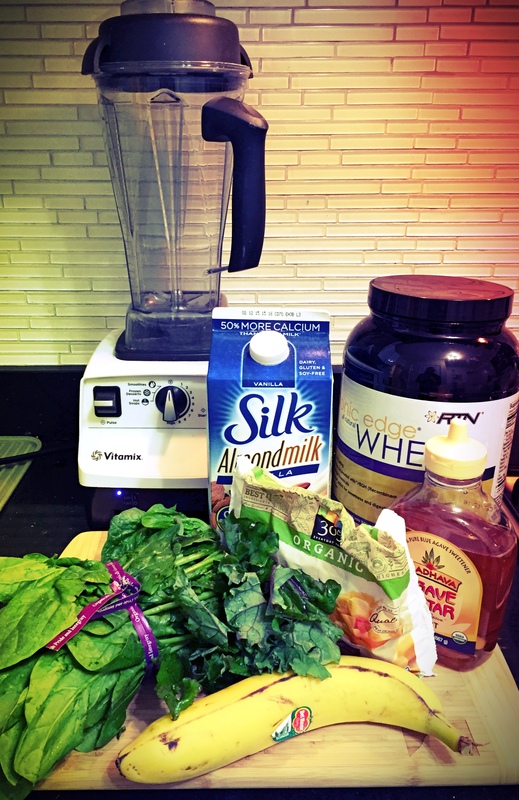 I love my vitamix and use it often! Making smoothies are a great way to start eating clean, raw foods. This was my first time at making Mr. Greengenes, but definitely won’t be my last.